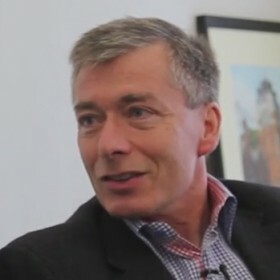 Christoph Loch is the Dean of the Cambridge Judge Business School, and Professor of Management Studies. Prior to joining the School, Professor Loch was the GlaxoSmithKline Chaired Professor of Corporate Innovation (2006-2011), Professor of Technology and Operations Management (2001-2011) and Assistant and Associate Professor (1994-2001) at INSEAD. From 2009 to 2010 he was Visiting Professor of Operations Management at the Stockholm School of Economics in Sweden, and in 2002 and 2003 was Visiting Professor in the Information Dynamics Lab at Hewlett Packard Labs in Palo Alto, California. In this video interview he discusses why he believes business school is a great place to explore your entrepreneurial ambitions. He sees the MBA as a year of experimentation, and the chance to try something completely different. He also believes that you can teach innovation, following systematic steps that will increase the chances of doing something creative, and explains some of the ways that you can maximise your chances. The Dean shares what he has learned from failure, and concludes with thoughts on what he would have become if he had not become an academic, and the string of happy accidents that can shape our career. For the full interview on Forbes, click here.